With advancement in technologies, mobile phones are seen overtaking the fixed devices. From browsing to shopping, booking tickets, making payments, consulting, maintaining social circle; everything is now just a click away through hire mobile app developer services. Since, almost 70% of the population uses smartphones, it has become mandatory for merchants to cover this market as well through hire mobile app developer services. Earlier, android app development and iphone app development was just a fancy term but now it has become a necessity. Therefore, to reach this aforesaid 70% of the market, VertexPlus – the trusted mobile app development company provides its services to hire our extremely talented Hire Mobile App Designer and Developers who exclusively work for you to design innovative and user-friendly Android, iOS and Phonegap Apps. 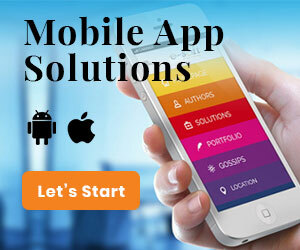 We offer customizable Hire Mobile App Developer services that can be modified as per your requirements. Our expert team diligently works in diverse industries to deliver the favorable outputs at minimum costs and maximum ROI.